Princeton University Press. New. 2002. First Edition. Softcover. 0691057087 . New book, sealed in shrink wrap. ; Philosophy Now Series; 8vo 8" - 9" tall; 200 pages; Richard Rorty is one of the world's most influential living thinkers. He is notorious for contending that the traditional, foundation-building and truth-seeking ambitions of systematic philosophy should be set aside in favor of a more pragmatic, conversational, hermeneutically guided project. This challenge has not only struck at the heart of philosophy but has ricocheted across other disciplines, both contesting their received self-images and opening up new avenues of inquiry in the process. 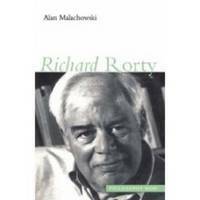 Alan Malachowski provides an authoritative overview of Rorty's considerable body of work and a general assessment of his impact both within philosophy and in the humanities more broadly.... (278-osl) . University of Ottawa Press. Very Good. 1995. First Edition. Softcover. 0776604031 . Ex-library book but still in great condition, sturdy laminated cover and usual ex-lib type markings. Pages are clean and tight. Cover has light scuffing and very light edgewear to laminate. 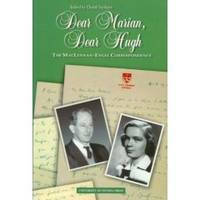 ; 8vo 8" - 9" tall; 138 pages; A student at McGill in the mid-1950s, Marian Engel wrote her M. A. Thesis under the direction of Hugh MacLennan. Their work together became the basis of a correspondence, the MacLennan half of which survives and is detailed here. Both personal and professional in nature, MacLennan's letters to Engel provide fascinating insights into his life's pursuit of writing and offer another glimpse of the author of Two Solitudes. [265-osl] . State University of New York Press. Very Good+. 2000. First Edition. Softcover. 0791444600 . Excellent condition. Pages are clean and tight, cover has very light corner wear and a little scuffing. ; 8vo 8" - 9" tall; 353 pages; This book examines the diverse responses of colonized people to metropolitan ideas and to indigenous traditions. 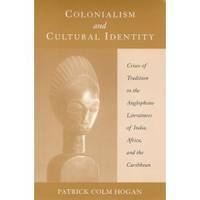 Going beyond the standard isolation of mimeticism and hybridity-and criticizing Homi Bhabha's influential treatment of the former-Hogan offers a lucid, usable theoretical structure for analysis of the postcolonial phenomena, with ramifications extending beyond postcolonial literature. Developing this structure in relation to major texts by Derek Walcott, Jean Rhys, Chinua Achebe, Earl Lovelace, Buchi Emecheta, Rabindranath Tagore, and Attia Hosain, Hogan also provides crucial cultural background for understanding these and other works from the same traditions.  .
Toronto: Oxford University Press. Very Good+. 1980. Second Printing. 0195403096 . Excellent condition, pages clean & tight. Light edgewear to cover. B/w illustrations. 458 pages. "First published in 1969 and revised in 1980, Only Connect is widely accepted as an essential tool for everyone concerned with children's books. Only Connect, Third Edition, presents a completely new section of more than 40 essays and brief studies on history and criticism, literary standards, changing tastes, science fiction, young adult literature, fantasy, the problem novel, racism, and sexism. Among the essayists are Joan Aiken, Margaret Mahy, P. L. Travers, Perry Nodelman, Brian Attebery, John Rowe Townsend, Myra Cohn Livingston, Peter Hunt, and Jane Yolen...". ; 8vo 8" - 9" tall . University of California. Very Good. 1967. First Edition. Softcover. B0016YC2UK . Very good interior with good cover. Cover has moderate edgewear & scuffing, old price in corner, age tanning, stain to upper rear of cover. Interior pages are clean & unmarked, a little soiling/ink marking outer edge of pages. Stain to rear cover has caused light wrinkling to top edge of last few pages (fairly minor). [300osl] ; 8vo . Ontario: Ecw Press. Very Good+. 1994. First Edition. Softcover. 1550222090 . Clean, tight condition, only light wear overall. Ex-library with sturdy laminated cover & usual type markings. Internal pages unmarked, slight soiling to outer edges. 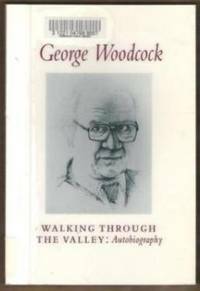 From the third volume of George Woodcock's autobiography: Like many people who grew old and have not cast off from the past, I feel the urgency that makes me want to write even of the recent past before it is too late, and also, to see at times my life in panoramic recession. For I realize now, looking back over my eight completed decades, that from the days I left school in 1929 up to 1977, I was involved in institutions, or something very like institutions, and depended on them largely for my living. I began with the eleven years working for the Great Western Railway. When I left that in 1949, I involved myself for almost a decade in the anarchist movement, which, though apparently lightly structured and voluntary in its operations, in fact had the orthodoxies and the moral pressures that made it into an institution of its own kind. Like Orwell, I found that a writer cannot further his political ideals by immersing himself in an organized movement, but only as guerilla fighting in his own terrain.  (os? ) ; 8vo 8" - 9" tall . The Writer, Inc.. Good+ in Good dust jacket. 1968. Hardcover. Reprint of 1941 original. Ex-library with laminated cover & usual stamps & stickers, jacket attached to book. Light soiling to jacket, sticker residue on front, fading to spine area, light soiling outer edge of pages. Interior pages good - clean other than occasional light spotting. Two pages near front partially loose - otherwise tight. 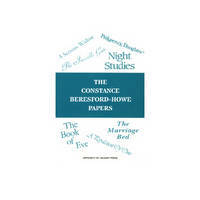 Mr. Bates, himself a short story writer, has here produced a major work of literary criticism and history which will establish the short story amongst the most important prose forms. This study will take its place, with its distinction of mind and style, beside E. M. Forster's classic, Aspects of the Novel. Covers: Gogol, Poe, Tchehov, Maupassant, Tolstoy, Wells, Kipling, Katherine Mansfield, A. E. Coppard, the Irish School, American Renaissance, Lawrence and others. (*shipping will be reduced to some locations) ; 8vo; 231 pages . London: J. M. Dent. Very Good. 1911. Fourth Printing. Hardcover. First issued in 1906, 4th printing 1911. Small orange cloth hardcover, with gold decoration on spine, in very good condition for it's age. Cover has light soiling, light wear to edges/corners and light soiling to outer edge of pages. Pages are all intact and clean other than previous owner's small name stamp on pages near front. Light age tanning to pages and inside covers. Contents: - The function of criticism at the present time; The literary influence of academies; Maurice de Guerin; Eugenie de Guerin; Heinrich Heine; Pagan & Christian religious sentiment and others... (285noto) ; 12mo 7" - 7½" tall; 380 pages . New York: The Vanguard Press, Inc.. Near Fine in Good dust jacket. 1974. First Edition. Hardcover. 0814907431 . HC/DJ - near fine/good. HC has very light edgewear, corner bumping, one corner worn more a bit than the others, no internal markings. Book has a pink dot on top edge of pages from a book sale. Jacket has several small edge tears and chips, light scratches on rear, price clipped. 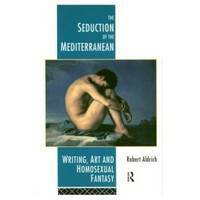 This is the second volume of literary criticism by one of America's leading writers. ; 8vo; Miss Oates explores the dichotomy faced by the great "visionary" writers: the contradiction between their need to search the unknown - reaching beyond the limitations of reality and thus divorcing themselves from society - and the need to maintain contact with that very same society; without such contact, Miss Oates feels, a writer's work becomes meaningless...."  . Dublin: Gill and Macmillan. Good in Good dust jacket. 1978. First Edition. Hardcover. 0064953963 . Retired library book with mylar cover and usual stamps/stickers. Light wear to edges, some creasing/slight loosening of mylar, light soiling to cover and outer edge of pages. Interior pages tight. Several pages have pencil underlining and a few have pen. Good reading copy. 208 pages. "This is the full length study of Yeats's imagination, both as he conceived it, and as he expressed it in prose, poetry and drama. 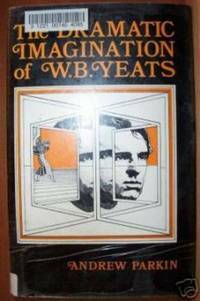 The author explores the nature of Yeats's imagination and finds it to be neither epic nor even wholly lyric but essentially dramatic in its quality. Dr. Parkin first investigates Yeats's own ideas about imagination and then develops a critical discussion of Yeats's work.........Yeats is often regarded as the greatest poet since Wordswoth; Dr. Parkin shows that he is also probably the greatest commentator on imagination since Coleridge. " (*Shipping will be reduced to some locations) ; 8vo . 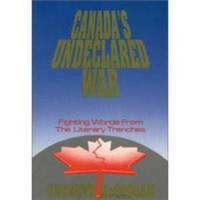 University of Calgary Press. New. 1996. First Edition. Softcover. B003WGJW58 . Softcover is new and unread, no markings. B/w illus. 246 pages. Includes: Biocritical essay, Series in Correspondence, anthology, fiction, prose, photograph, sound recordings, video, misc. 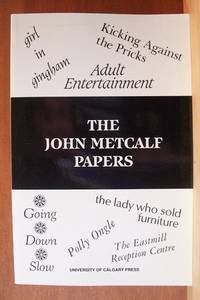 , works on John Metcalf & Works by other authors series. (471) ; 8vo - over 7¾" - 9¾" Tall . By Miller, James E., Jr.
Pennsylvania State University Press. Good in Good dust jacket. 1977. First Edition. Hardcover. 0271012374 . 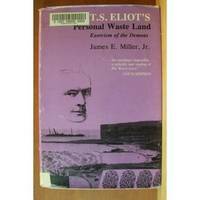 Ex-library book with moderately heavy wear, good minus condition. Reading/study copy only. Moderate wear to book edges & corners, moreso to corners, scuffing & soiling of cover, outer edge of pages, and occasionally within book. Interior pages are tight. Several pages have underlining as well as several pages with some wrinkling and a few creases.. ; 8vo . Cambridge University Press. Near Fine in Near Fine dust jacket. 1992. First Edition. Hardcover. 052140438X . Hardover has very little wear, one small wrinkle near top, slight bumping to spine ends. Light coloured ink dots top & bottom outer edge of pages & small pen mark bottom edge. DJ has a little wrinkling to the top edge, a couple of tiny tears and light scuffing. 270 pages. Description: Stefan Heym was Hitler's youngest literary exile. 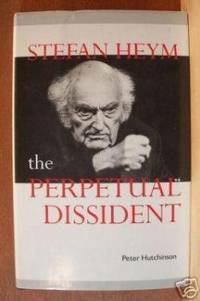 This book, the first full-length study of Heym to appear in English, outlines his exciting career, which culminated in his becoming the major dissident of the German Democratic Republic. It focuses primarily on his journalism and his novels, some of which have been translated into over twenty languages, but also discusses his earliest, almost unknown, poetry and drama..... ; 8vo - over 7¾" - 9¾" tall . Calgary, AB: University of Calgary Press. New. 1996. First Edition. Softcover. 1895176700 . Book is new and unread, no markings. Compiled by Marlys Chevrefils. Editor - Apollonia Steele.Covers the period 1941-1991. 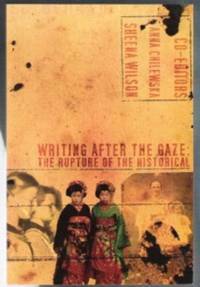 Biocritical essay, notes, correspondence series, manuscript series, scrapbook series, works on Beresford-Howe, etc. (*Shipping will be reduced, depending on your location); 8vo - over 7¾" - 9¾" tall . England: The Promotional Reprint Co.. Fine in Near Fine dust jacket. 1995. Hardcover. Near fine condition. First published 1924 by George Routledge. 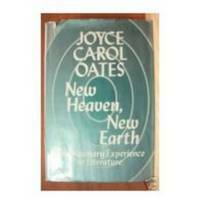 Hardcover & jacket excellent, only very light wear overall, price sticker residue on front. Clean & tight, no markings. Numerous b/w photo plates and illustrations. 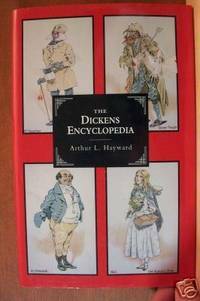 SUMMARY: An alphabetical dictionary of references to every character and place mentioned in the works of fiction of Charles Dickens .. With explanatory notes on obscure allusions and phrases.. This is the modern reprint of that well-known and valuable book. ; 8vo .